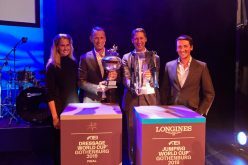 Julien Epaillard and Usual Suspect D’Auge triumphed in the first Longines Global Champions Tour Grand Prix of 2019 with a masterful galloping victory in Doha. The Qatari capital played host to the opening leg of the season and it was a blistering jump off under floodlights around Uliano Vezzani’s galloping track at the spectacular AL SHAQAB venue. The French star was first into the five-strong jump off and punched the air in delight when he realised last man in Ben Maher and Explosion W had narrowly failed to beat him. 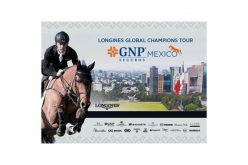 Epaillard became the first qualifier for the prestigious LGCT Super Grand Prix at the GC Prague Playoffs later this year. Spectacular aerial images showed the full scale of the dramatic show jumping stage in Doha looking across to the stunning City skyline as the world’s best riders and horses powered up for the LGCT Grand Prix with their eyes fixed firmly on the championship race. The first round saw multiple top combinations struggling to master the challenges of the substantial track across of 500m track with 13 obstacles and 16 jumping efforts. It was top sporting entertainment for the Qatari and international spectators in the grandstands and the bustling cafes alongside the arena. 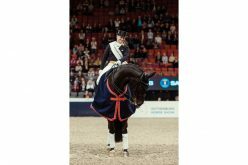 With 35 combinations fired up for action it was soon clear one of the trickiest lines in the course was the oxer to the double combination and the stars of the sport fell victim one after the other. 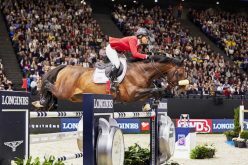 Top talent including Daniel Deusser, Pius Schwizer, Scott Brash, Bertram Allen and Philipp Weishaupt were among a big bunch of disappointed competitors on 8 and 12 faults. 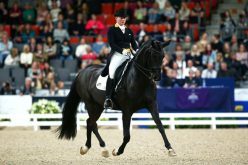 Christian Ahlmann and Colestus, Maikel van der Vleuten and Idi Utopia were among the other talents who ended up out of the running. 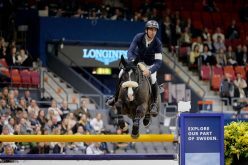 But Epaillard lit up the arena with a fantastic fluid clear and was quickly followed by Alberto Zorzi and Contanga setting up a tantalising jump off. Ludger Beerbaum and Cool Feeling left the arena frustrated after superbly navigating the first part of the course until the front rail of the Exxon Mobil oxer tumbled along with his chance of glory. 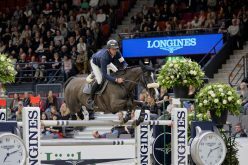 Frank Schuttert and the limitless scope of Chianti’s Champion produced a super clear pitching the young Dutchman into the jump off. 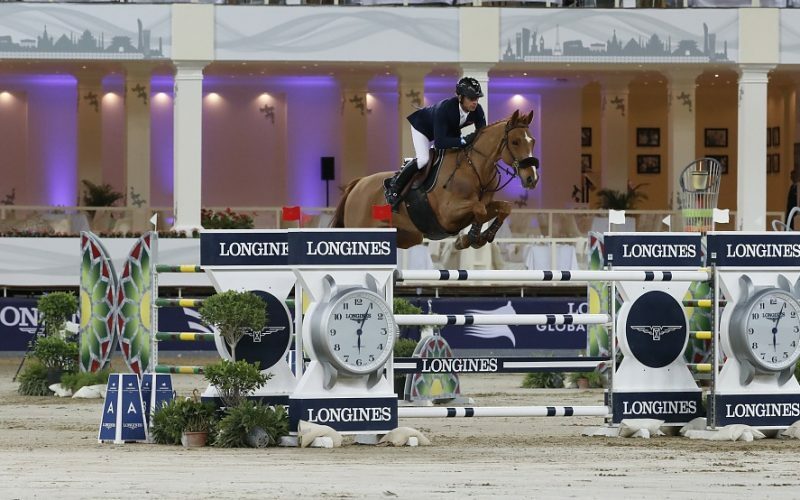 There was disappointment for Edwina Tops-Alexander, winner of the inaugural LGCT Super Grand Prix last December, and California who had an unlucky four faults at the first part of the double combination. Nicola Philippaerts and the powerful H&M Chilli Willi made easy work of the course and cruised into the jump off line up. Great Britain’s Ben Maher completed the line up with a truly masterful clear round on the incredible Explosion W, now a 10-year-old, provoking looks of admiration from other riders watching from the warm up arena. The mouth-watering jump off line up did not disappoint. Epaillard and Usual Suspect D’Auge set the pace and took a tight angle to the GC gate and sailed over the Longines final fence to cross the finish line in 40.11. Alberto Zorzi and Contanga had an unexpected mistake at the vertical and ended up in fourth place. 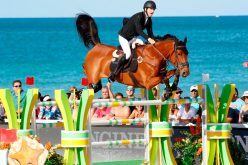 Frank Schuttert and Chianti’s Champion had four faults at the GC Gate after coming in too tight. With two champion riders left to go the tension mounted as Nicola Philippaerts and H&M Chilli Willi were quick off the mark and executed a polished clear round but too slow in 43.43. As Ben Maher and Explosion W came into the arena there was high expectation that the stunning combination, dominant for most of the 2018 season, would triumph. It was hearts in mouths as Explosion W efficiently covered the ground and the fences ensuring perfect strides all the way. But as he cleared the final fence the clocked stopped at 40.55 and Ben’s grimace said it all as he finished in second place. Over in the warm up Epaillard cheered with joy as his win was confirmed. In the prize-giving ceremony His Excellency Sheikh Joaan bin Hamad bin Khalifa Al Thani congratulated the winner and second and third place riders as crowds took countless photos as the LGCT of Doha came to a close.